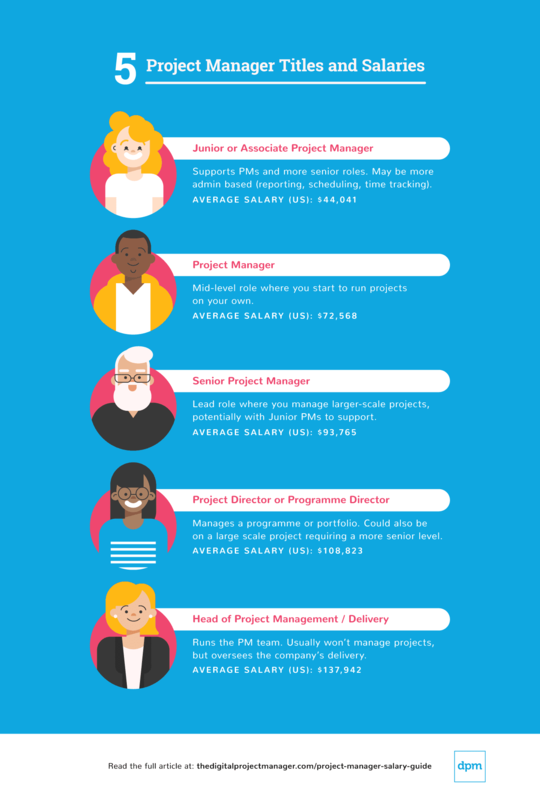 A complete guide to the project management career path to help you land your first PM role. If you ask someone who’s been in the Digital Project Management world for a while how they became a Project Manager, you’ll likely hear the answer, “I just fell into it!”. That’s definitely the case for me! There aren’t many 10-year-olds out there who will answer “Project Manager” when asked the question, “What do you want to be when you grow up?” That’s why it’s hard to determine what you should study, what experience you need and how to get into the industry. The digital world has evolved at a rapid pace, and is still a relatively young industry. This means that our specific jobs haven’t been around for that long, compared to many other professions. So, I think it’s really important to share the knowledge on how to become a Project Manager. I’d also love to hear from you guys about your path to Digital Project Management and your progression within the role. This post can serve as a starting point for anyone interested in exploring the field of project management. Read it straight through, or jump straight to the topic that interests you most. First, The Basics: What Does A Project Manager Do? What Are The Different Levels Of Project Managers? What Do I Need To Know Before Becoming A PM? What Experience Do I Need To Become A Project Manager? What Are The Main PM Certificates To Get? there’s a lot more to our job than this – if we were merely good at tracking timelines, and monitoring finances, I don’t think we’d be successful Digital Project Managers! What does a Project Manager actually do? In a nutshell, a Project Manager leads a project and the team involved in it, ensuring the needs of the project are met—scope, timing, and budget. While the emphasis is on making sure things happen, the role has evolved to become more of a leader than manager (despite the title!) To get the best work, the team producing the work needs to be happy and have the ability to get on with their work to the best of their abilities. The Project Manager enables this. This is a very relevant round-up of what we do, day in and day out. In particular, the last statement really resonates with me. A Project Manager is not just there to make sure things get done—we are also strategic players on a project, helping to direct the project on the right course. Brett’s also done a podcast on these statements, which you can listen to here. I’m a Project/Programme Director, which is at the senior end of the scale, but my role can involve anything from booking resources, chasing timesheets (always a fun job!) and running stand-ups to leading client workshops, managing other PMs and ensuring team issues are resolved quickly. And it goes on… Obviously, this list shows you that the job is varied—you often feel you have a million different things to do at once. I think multitasking has become ingrained in me! I still mix up either running projects myself or managing other PMs running projects, as I still like to have a hands-on role as part of my job. Check out this Project Manager job description for more details. Entry level role in the industry, supporting Project Managers and more senior roles on the project. This role can be more admin based, helping to keep the more granular tasks in check (reporting, scheduling, time tracking, etc). Mid-level role, where you start to run projects on your own. Lead role where you manage and run larger-scale projects, potentially with junior team members to support. This is a senior role and can mean either managing a programme or portfolio of work (multiple projects across one account) or a large scale project which needs a more senior level, working with Project Managers who cover more day-to-day tasks. Running the PM team. Usually won’t manage projects themselves, but oversee the company’s delivery. Yes there are lots of different types roles out there with similar skill sets! A Producer is very similar to a Project Manager, but the term is more common in production based projects (for example, above the line brand communications like videos, ads and social content). It’s not a cop out, but it really does depend on a number of factors. There’s a great and extensive DPM salary guide on this very site. The guide outlines the results of three years of surveys on how much Digital Project Managers make and gives average results across the USA, UK and Canada. Freelancers do get paid more than permanent employees, but you have to weigh the pros and cons (for example, not being paid for holidays or sick days). If you’re interested in freelancing, start with this freelance project management guide and consider factors beyond the salary: Does my skill set and level mean I will enjoy being thrown in at the deep end on projects? Can I cope with multiple short-term contracts in different places? Think about yourself and levels of work happiness as well as the money! If you specialise in certain areas, then sometimes you can find increased pay for roles that need your special skills. For example, someone might need a PM with a Scrum certification (more on certs later) or with a strong technical development background. Financial and IT industries do tend to pay more. Again, consider if this is a field you’ll enjoy and thrive in. Balance the lure of a large salary with whether this will suit you and your skillset! As shown in the survey, cities do tend to pay higher than companies outside these areas. If you’re starting your very first Project Manager role, you’re not expected to know in-depth details on every project planning tool, estimation tactic or Statement of Work structure. However, it’s a good idea to at least familiarise yourself with some of these areas before interviewing. I’ll cover how to ace an interview later, but first: what skills do I need to be a Project Manager? You might have heard these terms before: hard skills and soft skills. What do they actually mean? “Hard” skills are more concrete, learned tasks that you perform in your role. “Soft” skills are the more behavioural parts of your role. However, I dislike this terminology as the words hard and soft have negative connotations. I use the terms “Practical” and “Personal” instead. What Are The Practical (Hard) Skills In PM? Building out a timing plan and estimating the cost of a project based on team shape and deliverables. You’ll work with your organisation’s leads to determine estimates (generally in hours) of the breakdown of tasks for a project. Or, if you’re working to an Agile methodology, you might develop a Sprint plan and create an initial backlog. Look into tools for planning and estimating to familiarise yourself with what PMs use. Writing project documents like the Statement of Work, Project Initiation Document, RACIs, Status Reports and Risk Logs (to name a few). Often you can work from your organisation’s templates to learn what core areas are covered, or dig into the articles below. If you’re new to writing project documents (or even if you’re not!) go through a manager or peer to review before sending out. With a focus on web design and development, A List Apart has loads of articles on a wide range of topics and is a great resource. A Book Apart also produce handy, digestible books on design and development topics. Managing risk is an important PM skill. If you identify potential areas of risk upfront and develop contingency plans, it will be much easier to mitigate if they do rear their ugly head in your project. Create a risk log upfront at the beginning of the project, and make sure you’re transparent with all stakeholders if risks do materialize. Methodologies used in Project Management—always a hot topic! Applying these processes is a practical skill you can train to develop. There’s lots of different methodologies, but two of the most popular tend to be Waterfall and Scrum. Consider reading around some of the most popular methodologies to understand why and how they are used, the steps involved in it, and the pros and cons. My article on Agile vs Waterfall methodologies: Agile Vs Waterfall. What Should You Use For Your Project? This list isn’t finite there are lots of practical skills out there that you can learn! Going in as an entry level PM, you won’t be expected to have all these skills upfront. Even so, a keen interest and some basic knowledge and demonstration of extra reading can only help! What Are The Personal (Soft) Skills In PM? These are less tangible than the concrete practical skills. What do they include? This is core to a Project Manager’s role. You’ll be communicating with many different types of people, at different levels and in different fields. On a normal day you could speak with a Designer, a Developer, a senior stakeholder in your client’s company, third party supplier, and your CEO. Also you’ll communicate in a number of different ways, with different tools. Coming into the Project Management world, make sure you’re comfortable with this. You need to be able to adapt continuously to changing situations within a project, with blockers and issues that arise along the way. I have never had a project where I’ve stuck rigidly to one plan from start to finish (I’d love to know if any of you have experienced this, though!). Don’t freak out if things don’t go to plan—instead, learn to embrace change. One of the core personal skills for a Project Manager. Problems will arise. If something blocks a team member or project, you need to be able to remove this blocker. Again, this is something you will develop skills around specific to Project Management as you gain experience, but is definitely something that you can already bring to a role. And last but not least, organisation is one of the key skills that most PMs say comes naturally to them! Most PMs that I know seem to have some geeky love of a tool that gets their life and daily job in order (for me it’s Google Sheets, as you might have guessed previously). But in all seriousness, organisation is often core to keeping a project running on a track and something you can really bring to your first PM role. Watch this preview of our upcoming Mastering Digital Project Management Online Course—get expert instruction for leading happy teams and delivering high-value projects in the digital world. Should I have experience in other fields? The straight answer is no, this is not necessary—however, everything helps. Going into my first role in Project Management I didn’t have any direct PM experience, but I could demonstrate transferable skills. I’d done an English Literature university degree (lots of writing, analysing and structuring arguments) and I’d worked both in hospitality and retail during college and university (communication, dealing with customer problems, making sure budgets and timings were hit). So don’t count yourself out if you haven’t got what you might think is ‘direct’ experience. To stand out from the crowd, consider looking at work experience or internships. Email companies with Digital Project Management teams and ask if you can come in for a day or two (or longer!) to shadow other PMs. Join communities (like our DPM Slack team!) and engage with other PMs, and get involved in conversations. Anything that you can apply to a new role like these examples can be useful. Do I Need Web Design Or Development Experience To Be A Digital Project Manager? I don’t think this is a necessity, but it can be very useful. It can open up more specialised roles where a technical background is necessary, and it can provide context when you’re trying to understand timings and issues within a project. I’ve come from a non-web design or development background—and because the personal skills I discussed above are so integral to the Project Manager role, I think you can be a Digital Project Manager without having web design or development experience. One tip though: hopefully you’re interested in the web design and development world. I love reading articles, digging into things and following people from these industries on Twitter, and think this has really helped me over the years. Should I Already Know About Project Management Methodologies? Now, I love a Project Management methodology chat. I think it’s such an interesting part of the PM world. There are a lot of different methodologies to pick from (Waterfall, Scrum, Kanban, XP PRINCE2…). Generally the organisation you join is following a certain process, whether that’s a strict reflection of a framework or a more hybrid approach. Therefore I don’t think it’s necessary to already know about PM methodologies when you get into Project Management since you’ll be learning your particular company’s process. However, my recommendation is always to look at any project and the specific perimeters of it to determine how it should be run. Therefore, any interest and knowledge around different methodologies would be an added bonus—there are loads of articles on this out there, some of which I linked to earlier in the article! I don’t believe certifications are mandatory to enter the Project Management world. I’ve managed to progress my career without focusing on them (FYI I have a ScrumMaster certification). Experience is key to being a Project Manager, as is being able to work across a wide range of clients, projects and with different people and different teams. Any type of learning or experience can give you a wider context, so certifications can only be beneficial. In some roles, they can help open doors and tick extra boxes. Often job openings will also specify some certifications. A report from PMI Job Growth and Talent Gap 2017-2027 looking at the Project Management industry found that, “on a global basis, certification also bolsters salary levels”. While fairly expensive and time-consuming, PMP (Project Management Professional) is definitely one of the more thorough certifications. Led by the PMI (Project Management Institute), it’s internationally recognised, and covers core stages of a project process. NB you need experience in the field to apply. The Digital Project Manager runs its very own certification, which is an online course over 7 weeks running through and teaching all the core Project Management topics and skills. It features the DPM Expert Panel (which I’m on!) and there are weekly video lessons, round table discussions, assignments and coaching sessions. The CSM is often the first stepping-stone into the world of Agile qualifications, and even though a Scrum Master is not a Project Manager, a lot of the skill sets needed mirror each other. Run by the Scrum Alliance, it’s relatively easy and quick to complete and is a good intro to Scrum. The APM (Associate in Project Management) is a good entry-level course into the world of Project Management, with terminology, current thinking, planning, risk assessment and quality management. It’s relatively cheap, and there’s study and an exam. See here for more details. This Scrum Master qualification from Scrum.org positions itself as more advanced Scrum training than the CSM as it is has three levels, PSM I, II and III. It covers more ground than the CSM. This could be a good certification to look at for those with CSM who want to take it further. Read The Project Management Certification Complete Guide for a more in-depth look at the main certifications, plus some extras. So, you’ve just been invited to your first Project Management interview? Exciting! But yes, nerve-wracking as well. How do you smash it and get the job? Make sure you look into the company you’re applying to, and think about the reasons you would like to work there. Talk about the role they’re offering, the requirements they are looking for, and how you’d fit. What experience do you have that’s relevant to the role? Don’t worry if it’s your first Project Manager job and you don’t have direct experience.Try and see where you have transferable skills relevant to PM. What are your strengths and weaknesses? It’s easy to talk through strengths, but being the “What’s your weakness?” question often throws a lot of people. Try and think through a weakness that you’ve actually made steps to change. Often interviewers will ask about difficult situations you’ve been in or challenges you’ve come across, and how you worked through and turned them around. As we saw in the personal skills necessary for a Project Manager, problem-solving is one of them. Prepare a few examples of situations and ways you’ve solved them. A lot of interviewers will want to know whether you’re enthusiastic about digital and the industry in general. Read articles, look for the latest happenings and hot topics through sources like Medium and Twitter, and make sure you can show how you’re passionate about a career in Digital Project Management. Can you tell me more about the day to day responsibilities in the role? What are typical projects for the company? What do you see as success in the role? 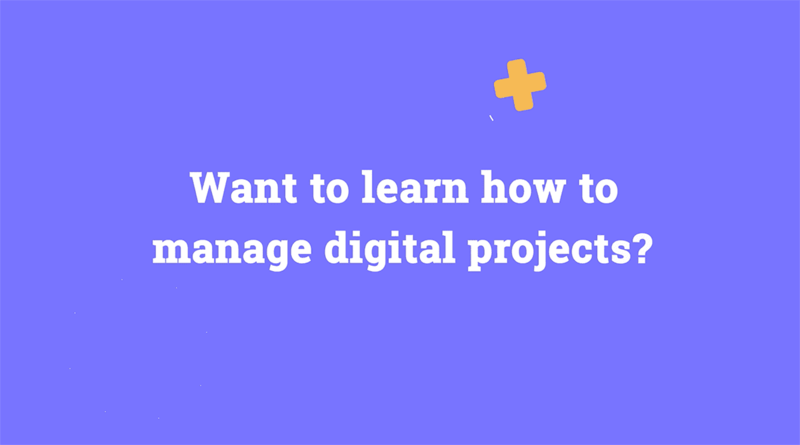 There’s also a thorough article on Digital Project Manager Interview Questions And Answers giving loads of example questions and useful tips, plus links to more resources. How have you demonstrated any of these skills successfully? Where have you communicated well? How and when do you have to deal with different people? When have you successfully led something? “As with most people, I accidentally became a PM instead of setting out to be one. My transition started when I was working as a front-end developer where work schedules, created by Account Managers, all seemed to be guesswork aimed to please only the client and Photoshop files given to me were very unorganised and often from a print designer whose pretty designs could not be turned into page templates at all.I felt things could be done more efficiently so that everyone's lives would be better. So, I offered to get involved with the Account Managers to create more accurate schedules and also trained the designers in the differences between print and web. 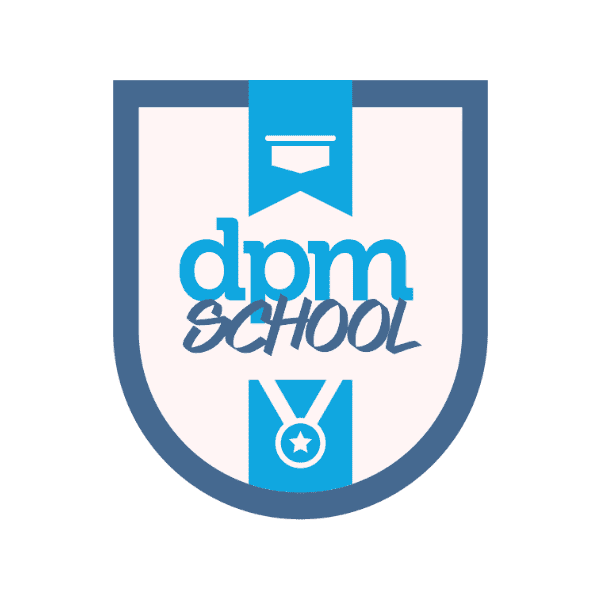 What Should I Know Before Becoming A DPM? Mike WinterthiemeCEO, Senior Project Manager Scrum Master, Ten Foot Table Inc.
I’d love to hear your thoughts on this topic. Also, how did you get into Project Management? What has your career path been? Suze Haworth is Freelance Senior Digital Project Manager in London. She has over 10 years’ experience working in agencies, moving through the ranks from her early days in account management before seeing the light, and realising her true calling for project management. She now leads teams on all sorts of digital and web builds, ranging from social campaigns and digital media to large and complex websites. Suze has managed projects for clients like the BBC, WaterAid, Channel 4, Esso, Lipton Tea, SEAT and Mozilla, to name just a few. She is a certified ScrumMaster, a regular conference speaker, and can also be found posting blogs online. When she’s not managing and talking about digital things (and creating numerous Google spreadsheets), she likes to fuel her obsessions with mountains and coffee.